Need a flexible and handy on-the-go charging solution for your new iPhone 6 or iPhone 6 Plus? 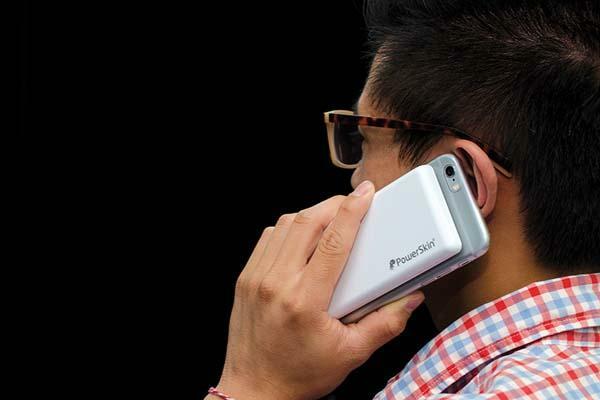 Have a look at PoP’n 2, the PowerSkin’s latest power bank should be a nice option. 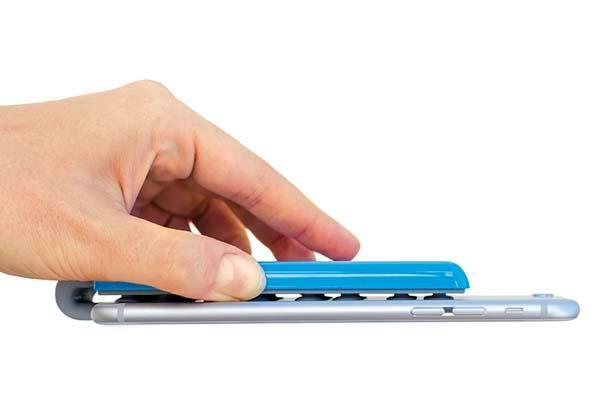 The PoP’n 2 is an attachable power bank designed for iPhone 6/6 Plus. The power bank measures 4.48 x 2.3 x 0.39 inches, weights 4.16 oz, and as we can see from the images, the PoP’n sports an ultra slim and compact design for easy to carry, and most importantly, the portable charger features an array of heat-injected soft rubber suction cups in order that you can attach it on the back of your iPhone 6 during charging, and the flex tip connector bends up to 90 degrees to accommodate most protective cases. Moreover, the power bank comes with a 4000mAh backup battery in its ABS & plastic hard-shell casing, and an included clear iPhone 6 case protects your phone from bumps and scratches. Apart from that, the battery pack also works with other smartphones with or without cases. 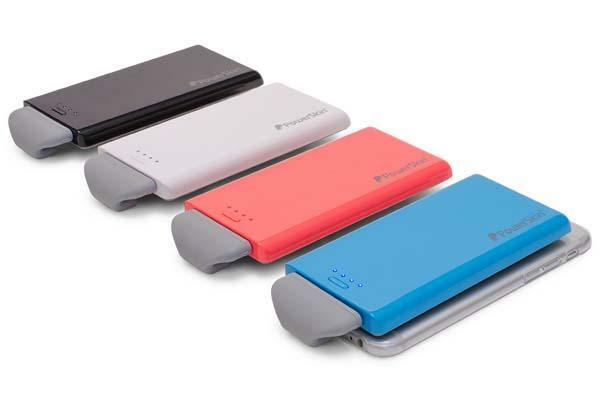 The PoP’n 2 power bank comes in four colors and two models and is priced at $69.99 USD. If you’re interested, jump to PowerSkin official site for more details.